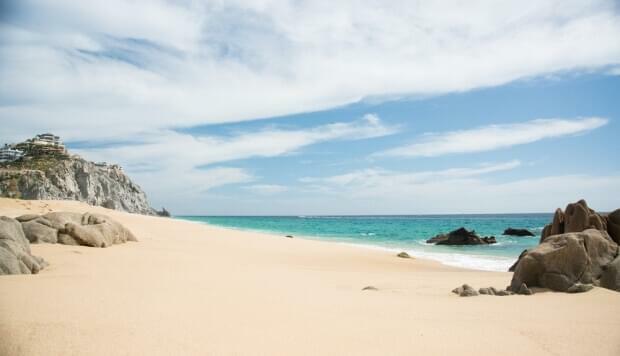 Los Cabos, a municipality in Mexico, is sometimes called the End of the Earth because of its location at the tip of the Baja California Peninsula. Its main settlements—the sleepy San Jose Del Cabo and the frenetic Cabo San Lucas—have their own distinctive personalities, offering visitors a wide variety of activities. The area between the two towns is referred to as the Los Cabos Corridor. It’s become a popular tourist destination in its own right, with a huge choice of beaches and resorts along the shore. The Corridor is a great place to stay, since it offers easy access to everything Los Cabos has to offer. San Jose Del Cabo is an idyllic Mexican town with cobblestone streets, intimate art galleries, quiet restaurants and numerous boutiques. Colorful buildings, quaint plazas and old churches echo the town’s colonial past. Visit the Mission San Jose del Cabo, walk around the Central Plaza and explore the art district to make your visit complete. Cabo San Lucas couldn’t be more different. It’s wild and funky, with a vibrant nightlife and plenty of bars, nightclubs and restaurants. It’s much noisier and crowded than San Jose, but it also has its own charms. Stay up all night and party with tourists and locals alike. Los Cabos offers a variety of beach activities, from deep sea fishing to snorkeling and whale watching. It also has magnificent hikes and amazing views. If you’re fond of ecotourism, you can find horseback and even camel riding. You might even opt for an expedition to the Fox Canyon or Baja Desert, but be sure to bring an experienced guide. The area is served by Los Cabos International Airport, the seventh busiest airport in Mexico. 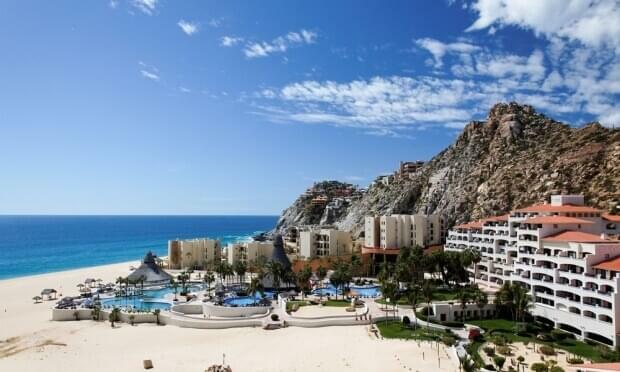 There are quite a few options to get to Los Cabos on an award ticket. American Airlines flies to Los Cabos via Miami, Charlotte, Dallas, Los Angeles and Phoenix, and seasonally from Chicago. United flies to Los Cabos via Denver, Houston, Los Angeles and Newark, and seasonally from Austin, Chicago, San Francisco and Washington, D.C. Air Canada, a United partner, flies to Los Cabos from Calgary, Toronto and Vancouver. Alaska Airlines flies to Los Cabos from Los Angeles, Orange County, San Diego, San Francisco and San Jose, and seasonally from Portland and Seattle. Alaska Air is a partner with both American and Delta, so you can use AAdvantage and MileagePlus miles to book flights on the airline. The price of award flights on these airlines are based on the current market value of the ticket, making it difficult to predict their cost.